All Kingswood homes currently listed for sale in Prescott as of 04/22/2019 are shown below. You can change the search criteria at any time by pressing the 'Change Search' button below. 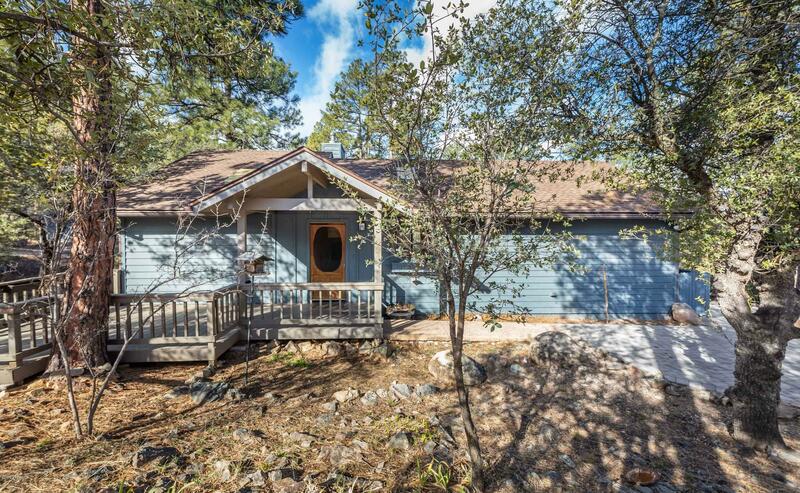 "Come see this beautiful home nestled in the gorgeous pines of Prescott. Located in the Kingswood subdivision and close to the Prescott Athletic Club which features a clubhouse, exercise room, pool and tennis courts. This two bedroom, two bath home has a spacious great room floor plan with gas fireplace and beautiful laminate floors throughout. Take in the fresh pine-scented air on the back deck. This home is perfect for a getaway retreat or for full-time living. Plenty of storage room under"